David Linga contributes to the Mickey Mouse project. 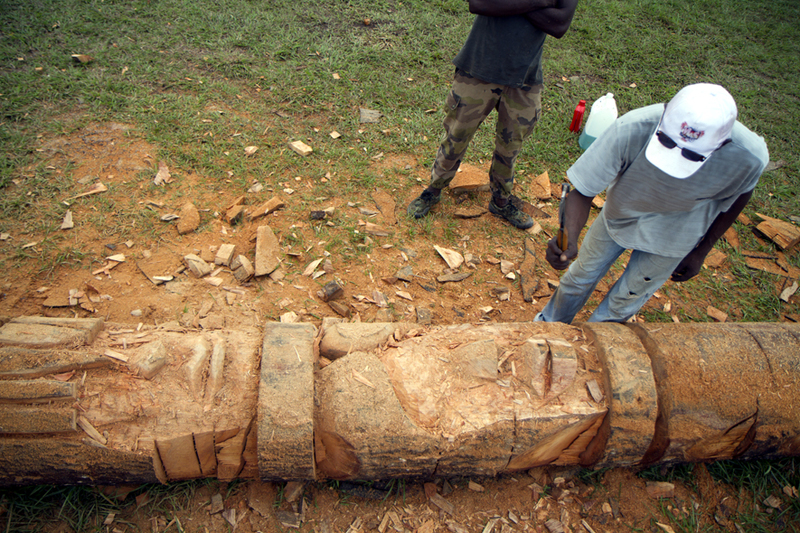 A giant Mickey Mouse will rise up, in the public space of Moengo, Suriname. Many people will add their ideas to it, and put them into practise. 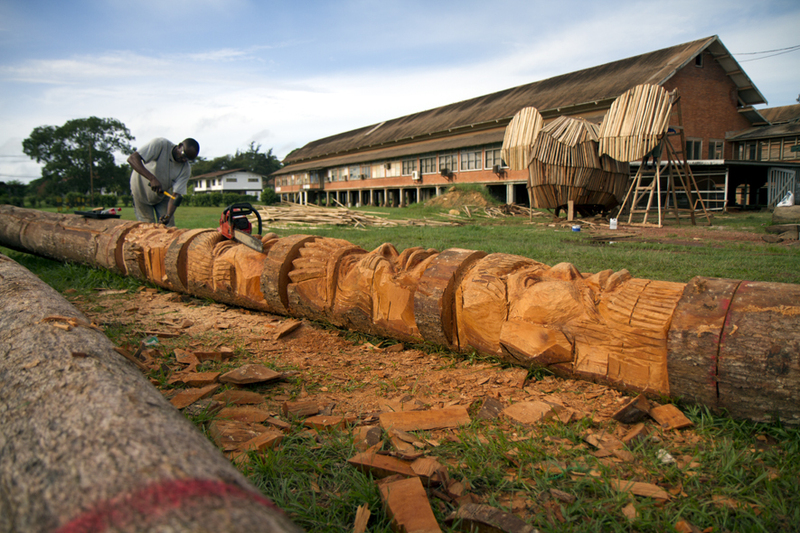 David Linga is one of the best woodcarvers of Surinam. Linga is taking care of the legs. 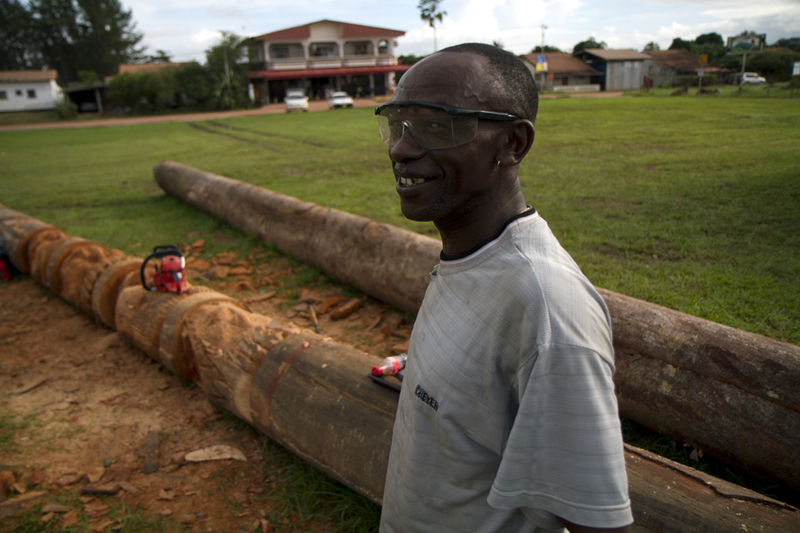 Two tree trunks, both with a length of 12,5 meters will be chainsaw-modelled. Together they depict the habitants of Moengo through the years.